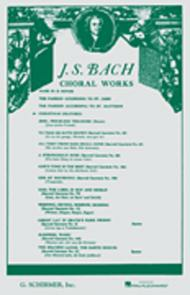 Composed by Johann Sebastian Bach (1685-1750). Choral Large Works. Sacred, Christmas. 212 pages. G. Schirmer #ED754. Published by G. Schirmer (HL.50324220). the comfort of my home. I will always purchase what I need from here in the future.